Harry Houdini, Penn and Teller, David Copperfield—these are the big names that we have come to associate with magic and illusion. But what about those who came before? Who was the first to pull a rabbit out of a hat? Who was the first to make a lady disappear? The following is a list of some of the most legendary magicians of our millennium who have regrettably faded from popular culture. Joseph Buatier was a well-known English magician who performed during the last decades of the 1800s. He almost ended up in the priesthood before choosing to give up his studies and become an apprentice to the popular Hungarian illusionist De Kolta. Although Buatier ended up adopting his master’s stage name, the pupil eventually became greater than his master, as he introduced many acts and tricks that are still in use today. Buatier pioneered the Vanishing Lady Illusion, where he had a lady sit on a dining chair and covered her with a silk shawl. After some dramatic sweeping gestures, both the woman and the shawl disappeared, never to return. That, along with tricks like passing a scarf through a bottle, creating an apparition of an enormous black glove, and his signature, The Growing Die Act (where he made a die grow bit by bit until it became large enough for a woman to step out of it), made him a household name. Magicians throughout the United States and Europe were inspired by him and clamored to learn his tricks. How many times can you count having watched the famous rabbit-in-the-hat trick on television and in movies? Well, you can thank this Scottish conjurer and stage actor for that. First performing at the age of 17 in 1831, Anderson used advertising to his advantage and quickly became known as Professor Anderson, the Wizard of the North. He toured Edinburgh, Glasgow, and London with his flamboyant stage persona and vast array of magical tricks. 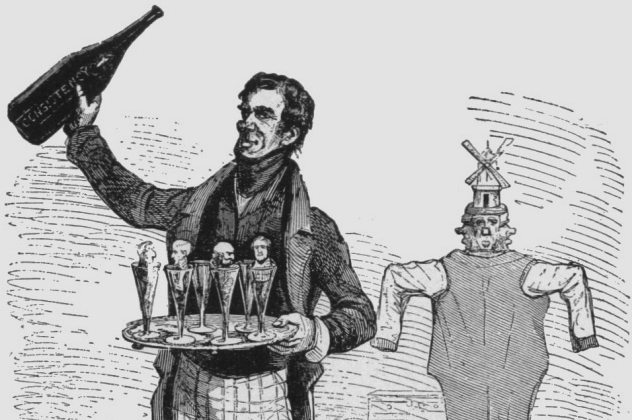 He also adapted the Gun Trick, in which someone fires a gun from the audience and the magician appears to catch the bullet, as well as the Inexhaustible Bottle Trick, where a bottle would produce any drink suggested by an audience member. He even performed before Queen Victoria. However, in one performance at the Covent Garden theater, his attempt to scare off drunken partygoers by lowering the gaslights ended disastrously when the ceiling caught fire, burning down the entire theater. Despite being the direct cause of the inferno, his popularity only increased, and he continued to tour until close to his death in 1874. If you’re a fan of modern magic and big-name modern magicians, you have to give credit where credit is due: the founder of the classical school of magic, an Italian known best as Pinetti. While touring in the late 1700s, Pinetti developed extravagant tricks and mechanical devices, known as automata, which blew the minds of his audiences and stimulated many mechanically inclined illusionists to come after him. 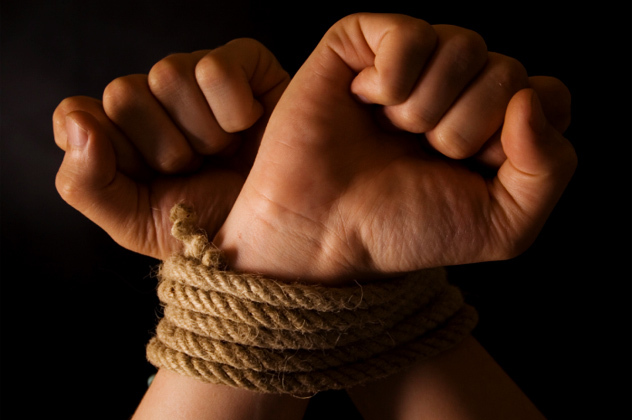 He was also one of the first real escape artists and a predecessor of some like the incomparable Houdini, dazzling spectators as he escaped from chains and the infamous thumb tie, a trick where he would be bound by a string to both thumbs but then instantly become free. In addition to being a proficient user of the trap door, he also introduced the whole concept of the second-sight trick, where a thought between magician and assistant would mystically transfer while on stage. Before his death in Russia in 1800, he wrote a guide to magic and his greatest acts, which is still available today under the title Physical Amusements and Diverting Experiments. 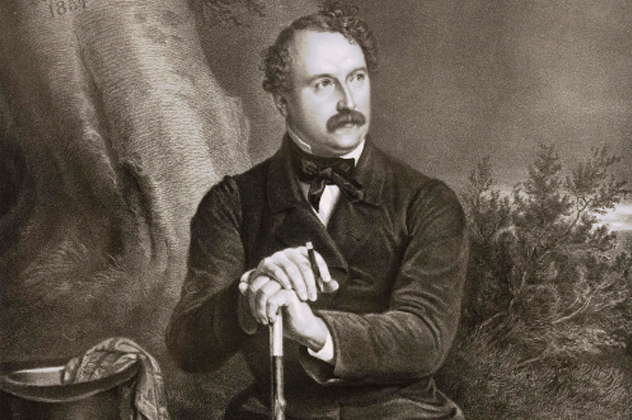 Although preceded as a magician by his famous brother Carl, Alexander met and in some ways surpassed his elder sibling’s triumph, achieving a record-breaking 1,000 nights of consecutive magic performances in London. In addition to traveling the world and amassing an enormous fortune, he was even invited to perform for sovereigns, including the prince of Wales. He was beloved by audiences for his incredible sleight of hand and particularly for his ability to dazzle people by seemingly pulling things out of thin air, even right under their noses. He also perfected the After the Ball Illusion, where his assistant disappeared in front of a mirror, along with acts where he outwardly made people levitate and even cremated his assistant. He is remembered for being one of the first so-called “dignified” magicians who refused to accredit any of his performances to magic or anything supernatural. While traveling on a ship from London in 1874, Alexander Herrmann’s eyes were transfixed by a beautiful English girl named Adelaide Scarsia. It wasn’t long before she became his wife and primary assistant, appearing as the star of all his performances. After Alexander’s death in 1896, Adelaide was left penniless, mostly due to Alexander’s extravagant lifestyle. She eventually connected with Alexander’s nephew, Leon, and the two embarked on a popular magic tour that eventually split up when Leon decided to form his own act. Doug Henning was perhaps the jolliest and shaggiest magician of the latter part of the 20th century, and in the 1970s and early 1980s, this Canadian was the subject of adoration by magic fans everywhere. Renewing the public’s fascination with magic and illusion was Henning’s goal, and renew it he did. Inspired by Houdini and following a debut in Broadway’s The Magic Show, he really made a name for himself when he escaped a water-filled steel container into which he had been placed with hands and feet handcuffed on live TV. Referred to as the Peter Pan of magic, he wowed audiences with acts that seemingly featured him being devoured by a shark, turning doves into rabbits, making horses fly and then disappear, causing women to levitate, and turning people into stone. His signature act was called Metamorphosis, in which his assistant was shackled, put in a sack, placed in a chest on which he stood, and then switched places almost instantaneously with Henning. With around a dozen television specials and three Broadway shows under his belt, this cheerful magician and devotee of yoga and meditation died of liver cancer before his 53rd birthday. Born in Belgium in 1865, Le Roy not only became a successful performer but eventually became the brilliant inventor of some of the world’s most fascinating tricks, including the Duck Pan (an empty pan which seemingly produces small objects and animals) and the Modern Cabinet (a trick where people are “magically” produced inside what seems to be an empty cabinet). One of his most famous tricks, Asrah, featured a levitating woman lying prostrate on a bed and suddenly vanishing into thin air. After his marriage to Mercedes Talma in 1890, he became the headliner of the accomplished trio of Le Roy, Talma, and Bosco, whose venues included the Grand Opera House in London. 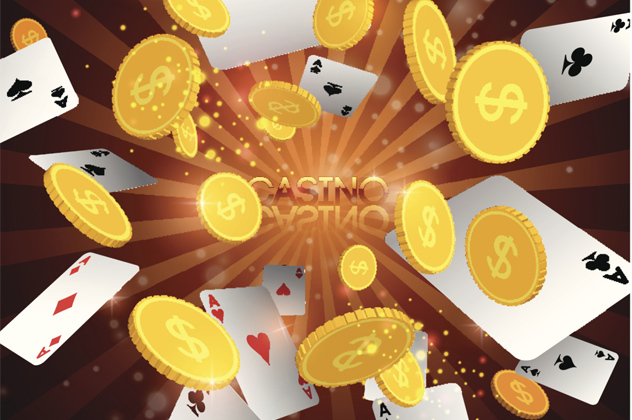 His lovely wife Talma, an expert with close-up magic and coin manipulation, was not an assistant but, in an act ahead of its time, one of the main performers, known for her trick of producing a shower of coins from her fingers. The stout Leon Bosco, who acted as the comedic relief, joined them, and in addition to creating the slapstick humor, often wowed the audience by switching the heads of two live birds before an audience. Born William Henry Palmer in 1828, this English-born classical pianist made waves with his talent as a musician, but he developed a passion for magic and illusion that was inspired after watching a show by the famous Jean Eugene Robert-Houdin. 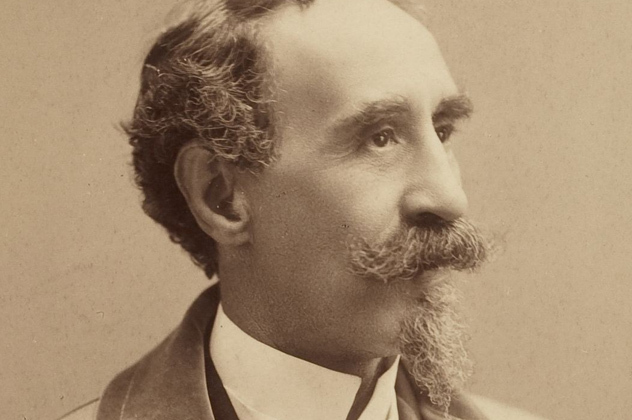 After he moved to the United States, Heller’s career really took off, although his first performances were done with a black wig, a dyed mustache, and a French accent. It wasn’t long before he became an international sensation with performances made up of magic tricks, piano playing, and a witty running commentary throughout. Part of the joy of his performances was the mystical atmosphere he’d create, blending an aura of science and the supernatural (although he never claimed that his tricks were accomplished by means of the dark arts). In his prime in the late 1860s, he even performed in Paris for Napoleon III. In 1878, two days after becoming ill during one of his shows, Heller died tragically early, although he left a legacy for many to follow. Photo credit: Strobridge Litho. 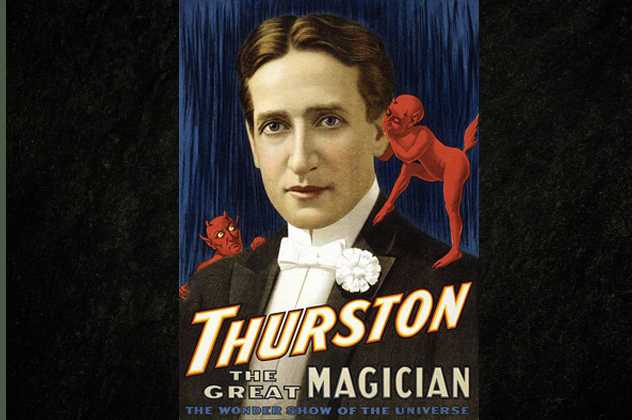 Co.
Called the “World’s Greatest Magician” and the “King of Cards,” Howard Thurston was more famous than Houdini in his prime. Born in 1869, Thurston ran away from home at an early age and joined the circus. Although he loved magic and even toured the United States with a small act, it was a European vaudeville tour that made him a hit across Europe and gave him the resources to tour the world. With a magnificent stage show that required props that filled up eight train cars, he only grew in popularity after he became the successor to America’s Harry Kellar. Favoring constantly changing effects, pretty women, and lots of comedy in his shows, the man who had become famous through his manipulations and tricks with cards eventually took on epic illusions like making automobiles disappear and producing lions out of thin air. 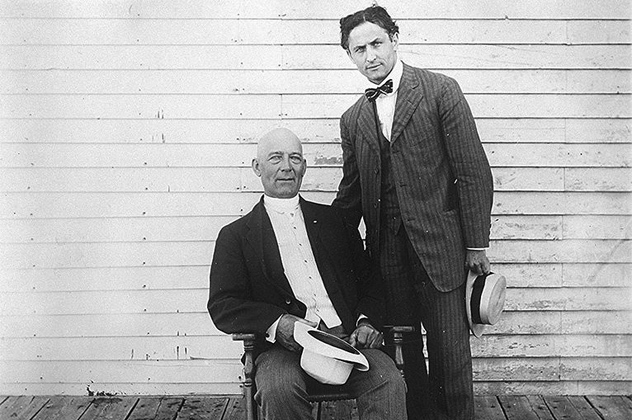 Harry Kellar was so legendary that Harry Houdini looked up to him as a professional father. Born in Pennsylvania, Kellar was a mischievous child, known for fooling around and playing precarious games of “chicken” with oncoming trains. After one of his romps went awry and resulted in a hole through the floor of the drugstore he worked at, 10-year-old Kellar decided to run away. After ending up in New York, he found himself bedazzled one evening by a traveling magic show and decided to become a magician himself. With little to no money, using borrowed equipment, and generally on the run from creditors, Kellar bounced between performing on his own and with groups before he landed with Davenport Brothers and Fay, who became successful presenting themselves as stage mediums. His team-up with the brothers proved to be a life-changing experience, and he left the troupe with a successful two-person act that eventually turned into an even more successful act starring just himself. 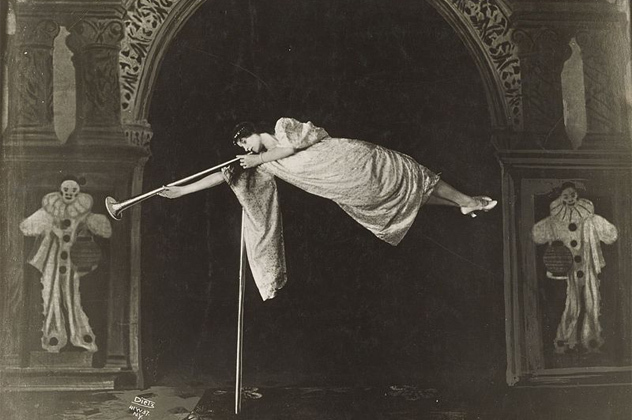 All about the lavish presentations and innovative productions, Kellar toured all through the Americas and eventually overseas to become the inspiration of many magicians who came after him.